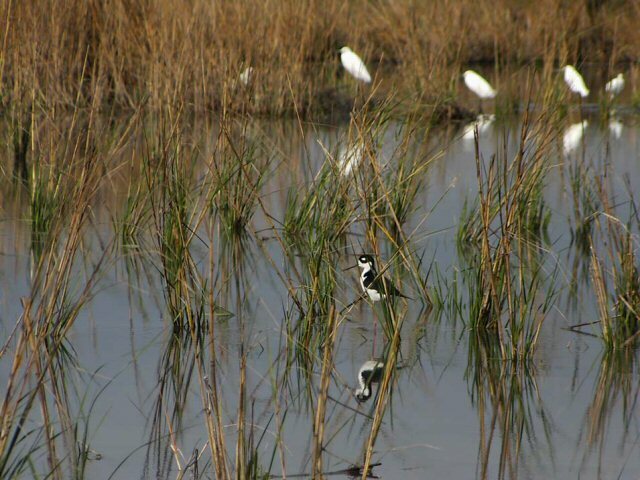 A black-necked Stilt and Snowy Egrets in restored Texas wetland habitat. Photo provided courtesy of Chevron. This website is owned by NOAA's Damage Assessment, Remediation, and Restoration Program (DARRP), a part of the Office of Response and Restoration. DARRP is administered by three offices within NOAA, who collaborate on the natural resource damage assessment process. The Assessment and Restoration Division handles scientific assessments; the Office of General Council negotiates legal matters; and the Restoration Center implements restoration projects. For general program information, contact darrp.webmaster@noaa.gov. For media inquiries, contact OceanServicePress@noaa.gov, or, Keeley.Belva@noaa.gov, Acting Chief of Public Affairs for the National Ocean Service. or visit the NOAA Staff Directory.